Statistics tell you that the national ill-health absence rate for teachers is about five days per year. At Nelson Thomlinson, it is about two. Obviously, this is a tribute to the health-giving properties of the local climate… Unless, of course, it’s also something to do with the doability of the job at NTS, the fact that classroom teaching is seen as the most important thing that goes on at NTS, or the fact that, however demanding NTS might be, the quality of life here is very high. The school itself is an attractive place and it’s located near some of the most beautiful countryside in England, 20 minutes north of the Lake District National Park and 15 minutes south of the Solway Estuary. Wigton itself is an interesting little industrial market town; Carlisle is an attractive and developing Border City; Cockermouth is a vibrant little Lakeland town, full of young professionals, many of them teachers. 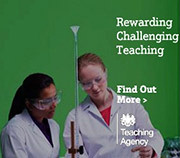 The school’s view of teaching as an important, honourable, but also difficult profession requires it to ensure that professional effectiveness and development is a central concern. This makes it a good place for NQTs to learn their trade and for the upwardly mobile to gain important experience. (We have an impressive record of developing HoDs and Senior Managers.) It’s also a good place to stay, though. The school’s record of continued success and progress precludes any possibility of stagnation, and its place within its community gives an extra significance to what it does. Wigton is a tight-knit community. Innovia Films/Futamura is “the factory”, we are “the school.” The former Head of Sixth Form has twice been Mayor of Wigton, the vicar of Wigton is a member of our governing body, “the factory” is well represented on our Board of Governors. NTS, then, exists within that community but it also makes a big difference to that community. If we were to fail, Wigton would suffer; because we succeed, Wigton benefits. So the responsibility is big – but so are the satisfactions of success. Housing in North Cumbria is very affordable and there’s plenty to do outside school besides fell walking. There’s plenty to do inside school besides teaching, too; and one of the reasons why so many of us are addicted to the place is because of the texture of life here. Lots of staff are involved with the school musical and theatrical productions and sports teams; many actually participate in the choir, the folk group, or the staff rock group. There’s also a staff Friday night five-a-side football session. There are the “set pieces” of the school year, too. Prize Day, Founders’ Day, our Remembrance Service and our Carol Services are not just things that happen here: they are dignified moments in the school year where we pause to celebrate what we do and the historical and cultural context within which we do it. So perhaps a major reason why staff at NTS don’t miss work very often is the fact that work here is (on the whole, of course!) something that they actually enjoy.